David Phipps – Mobilize This! The following was originally posted in YFile, York Univesity’s Daily News, on February 6, 2013 and is reposted here with permission. David Phipps, executive director, Research & Innovation Services, which includes York University’s Knowledge Mobilization Unit (KMb), has been named the most influential knowledge broker in Canada, according to a report by Knowledge Mobilization Works, a consulting and training company based in Ottawa. It is a repeat honour for Phipps, because in 2011, he was named the most influential knowledge mobilizer by Knowledge Mobilization Works. When the Canadian Knowledge Mobilization 100, a survey run by Knowledge Mobilization Works, asked respondents to rank the biggest influences of their knowledge mobilization practice, Phipps topped the list. Also mentioned among the top influencers in Canada were Michele Dupuis of the Social Sciences & Humanities Research Council of Canada (SSHRC) and Wilfred Laurier University knowledge mobilizer Shawna Reibling. The survey collected responses from Oct. 15 to Dec. 16, 2012. York University’s Knowledge Mobilization Blog, Mobilize This! was named the most read KMb resource and the most consulted blog. Michael Johnny, manager of York’s Knowledge Mobilization Unit also received a mention in the second most influential knowledge mobilizer category. In collaboration with the University of Victoria, York University piloted institutional knowledge mobilization in 2005 under a grant from the Canadian Institutes of Health Research and SSHRC. York University now leads ResearchImpact-RéseauImpactRecherche, Canada’s knowledge mobilization network that also includes Memorial University of Newfoundland & Labrador, Université du Québec à Montréal, University of Guelph and University of Saskatchewan. ResearchImpact as a network received a mention in the second most influential knowledge mobilizer category. York University works closely with United Way York Region to deliver knowledge mobilization services to the York Region community, municipal and regional agencies. Knowledge mobilization is a suite of services that connect university research and expertise to government and community agencies to help these organizations make better informed decisions about public policy and social services. Knowledge mobilization is a process that enables social innovation. 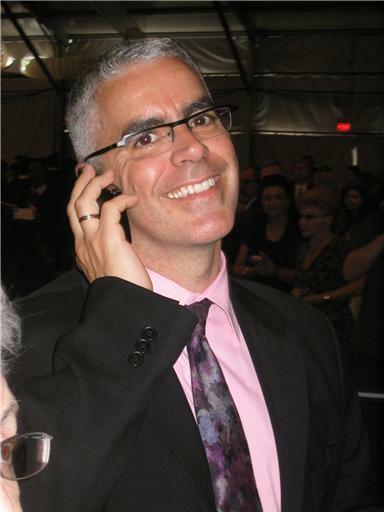 Peter Levesque, president and CEO of Knowledge Mobilization Works, undertook the survey to obtain a snapshot of individuals who people see as influential in their knowledge mobilization practice in Canada. Founded in January 2007, Knowledge Mobilization Works supports individuals and organizations to create incentives and infrastructure for knowledge mobilization. To view the results of the survey, click here. Today York’s YFile released a story about Queen Elizabeth II Diamond Jubilee Medal winners at York. We are pleased to let you know that David Phipps (RIR-York) was among the recipients! The medals, which are awarded to individuals in tribute to their achievements and significant contributions to Canada, are part of a global celebration of the 60th anniversary of Queen Elizabeth II’s accession to the throne. David received his medal in connection to Mitacs, a national research organization offering research and training programs to graduate students and postdoctoral fellows in Canada. He received his medal at a special ceremony held late last month in Ottawa, Ontario. As the executive director of Research & Innovation Services at York University, David manages all research grants and contracts including knowledge and technology transfer. He was recognized with the Queen’s Diamond Jubilee Medal for his work in knowledge mobilization. In 2011, he was named the most influential knowledge mobilizer in Canada and in 2012 York’s Knowledge Mobilization Unit was awarded a best practice award from the European-based Knowledge Economy Network. David leads York’s award-winning Knowledge Mobilization Unit that provides services to researchers, community organizations and government agencies that wish to use research to inform public policy and professional practice. 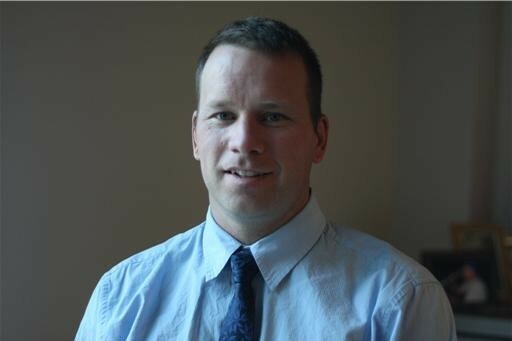 He also leads ResearchImpact-RéseauImpactRecherche, Canada’s knowledge mobilization network, which includes Memorial University of Newfoundland and Labrador, Université du Québec à Montréal, York University, University of Guelph, University of Saskatchewan and University of Victoria. The full YFile story can be read here. The following was originally posted in YFile, York University’s Daily News, on October 23, 2012 and is reposted here with permission. When it comes to conveying the important research to the broader community, clear language summaries are the best choice, this according to a new article published in the peer-reviewed journal, Scholarly & Research Communications. Led by David Phipps, executive director of research & innovation services, and colleagues from York’s Knowledge Mobilization Unit (KMb), the group put pen to paper to highlight their experiences in summarizing academic research according to clear language writing and design principles over the past four years and how that practice has made research more accessible to the community. The article titled, “A Field Note Describing the Development and Dissemination of Clear Language Research Summaries for University-Based Knowledge Mobilization”, highlights best practices for the development, evaluation and dissemination of clear language research summaries as tools for research outreach, research communication and knowledge mobilization. It is co-authored by Michael Johnny, manager, York’s Knowledge Mobilization Unit, Krista Jensen, knowledge mobilization officer at York University and Gary Myers, a community based researcher and author of the KMbeing.com blog. “Working with our partners and faculty to identify relevant research helps make York’s research accessible and useful to our community partners” says Phipps. York University piloted institutional knowledge mobilization with the University of Victoria in 2005 under a grant from the Canadian Institutes of Health Research (CIHR) and the Social Sciences & Humanities Research Council of Canada (SSHRC). Since then, York University has grown its knowledge mobilization collaboration with the University of Victoria to include the other four ResearchImpact-RéseauImpactRecherche universities: Memorial University of Newfoundland & Labrador, Université du Québec à Montréal, University of Guelph and University of Saskatchewan. York currently has more than 220 clear language research summaries in a series titled ResearchSnapshot, which is published on Research Impact blog. Working with a cohort of senior undergraduate work study students, the University’s KMb Unit produces between 40 to 50 research summaries every summer. York University’s KMb Unit and the University of Guelph Institute for Community Engaged Scholarship have recently partnered in support of a project funded by the Ontario Ministry of Agriculture, Food and Rural Affairs to produce clear language summaries of research at the University of Guelph. The KMb Unit is also working on clear language research summaries with the Centre for Addiction & Mental Health Evidence Exchange Network and the Knowledge Network for Applied Education & Research, a knowledge mobilization network funded by Ontario’s Ministry of Education of which York’s Faculty of Education is a partner. With these partnerships in place, York will be hosting over 500 ResearchSnapshot clear language research summaries. To read the full text of the article, click here. To view the ResearchSnapshot for this article, click here. The following was originally posted on The Guardian’s Higher Education Network blog on October 9, 2012 and is reposted here with permission. Maximising the impact of research on society depends on universities brokering the right partnerships with public policy, says David Phipps – and Canada is leading the way. 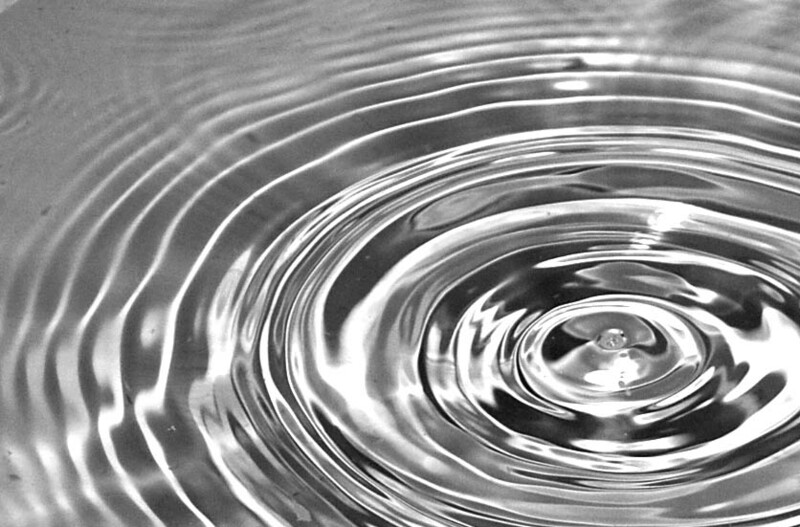 Good research should have a ripple effect on society and knowledge mobilisation can push it out. Earlier this year on the Higher Education Network, I introduced knowledge mobilisation as a university-based process that connects academic social sciences and humanities research to non-academic decision makers to inform decisions about public policy and professional practice, enhance social innovation and develop sustainable solutions to social, environmental, economic and cultural challenges. I then reflected on its past – the roots of knowledge mobilisation as we now understand it. In this third installment, I return to the present to see how York University in Toronto is supporting collaborations between researchers and partner to maximise the impact of research on society. We started York University’s knowledge mobilisation practice by trying to push out existing research results to find “receptors” and soon realised that we needed more interactive methods of closing the gap that exists between research within a higher education context and the policy and practice which could use it. Researchers and their partners need to find a middle ground in which to collaborate so that research not only meets the academic standards of scholarship but is also relevant to non-academic partners. Today York University’s knowledge mobilisation unit uses a suite of services available to faculty and students from all disciplines across the university. Our knowledge mobilisation staff help faculty and partners identify and develop research collaborations through meetings support, student interns and the use of social media as a connecting channel. We have recently published a report on our full range of services. 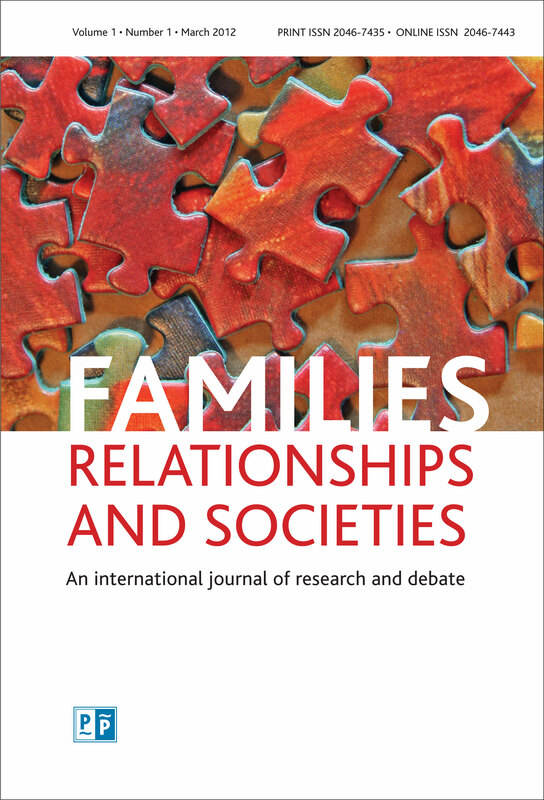 The following was first published on Centre for Research on Families and Relationships’ (CRFR) blog and is reposted here with permission. CRFR co-director Sarah Morton and colleagues Sandra Nutley (Director of the Research Unit for Research Utilisation, www.ruru.ac.uk) and David Phipps (Director of Research Servics & Knowledge Exchange at York University, Canada) offer seven lessons, and associated challenges, to improve how research is used in policy and practice in a recent article in the new journal Families Societies and Relationships. Set realistic ambitions and expectations: Research is one form of knowledge that policy makers and practitioners will be using, but it is rare for research to have the definitive word. Improve research strategies to ensure they address relevant issues and expand our knowledge base rather than unwittingly replicate existing studies. Reviewing research and evaluation processes helps to ensure that research responds to relevant issues and address the main knowledge gaps. Shape – as well as respond to – policy and practice debates: Take up opportunities to influence policy and practice debates when they appear, – rather than waiting for opportunities to open up, work with advocacy organisations to raise issues of concern and get debates going. Create dialogue around research by pulling together different perspectives: Research on its own does not create change, but it can influence it. Encourage dialogues between people that recognises research needs to interact with practice experience and tacit knowledge. Recognise the role of dedicated knowledge broker organisations and networks: There are increasing numbers of knowledge broker organisations and networks who can help to facilitate the creation, sharing and application of research-based knowledge. Target multiple audiences to increase the reach and impact of your message: Disseminate research findings into wider political and public debate, alongside more targeted approaches. This might be targeting influential people, participating in media debates, speaking at policy and practice conferences and seminars or responding to consultation processes. Evaluate, learn, improve: Knowledge exchange is still an immature discipline; only through improved evaluation and learning will our understanding of effective strategies develop over time. The following article appeared in York University’s YFile on September 28, 2011 and is reposted with permission. David Phipps, director of York’s Research Services and Knowledge Exchange, has been named the most influential knowledge broker in Canada, according to a report by Knowledge Mobilization Works, a consulting and training company based in Ottawa. The Canadian Knowledge Mobilization 100, a survey run by Knowledge Mobilization Works, asked respondents to rank the biggest influences of their knowledge mobilization practice. Phipps, who leads York’s Knowledge Mobilization Unit and ResearchImpact-RéseauImpactRecherche, Canada’s knowledge mobilization network, topped the list. York piloted institutional knowledge mobilization in 2005 under a grant from the Canadian Institutes of Health Research and the Social Sciences and Humanities Research Council of Canada. Since then, York has grown its knowledge mobilization collaboration with the University of Victoria to include the other four ResearchImpact-RéseauImpactRecherche universities: Memorial University of Newfoundland & Labrador, Université du Québec à Montréal, University of Guelph and University of Saskatchewan. York also works closely with the United Way of York Region to deliver knowledge mobilization services to the York Region community, municipal and regional agencies.